Estherville United Methodist Church is blessed with many talented musicians, some of the musical groups are listed below. CHANCEL CHOIR for those in high school and older provides special music each Sunday during the school year. Rehearsals are Wednesdays at 7:00 p.m. and Sunday mornings at 9:00 a.m. PRAISE TEAM sings on the second and last Sundays of every month and practices at 8:00 a.m. each Sunday they sing. This group focuses on contemporary praise music. It's directed by Nancy Danielson and accompanied by Randy Yackle. 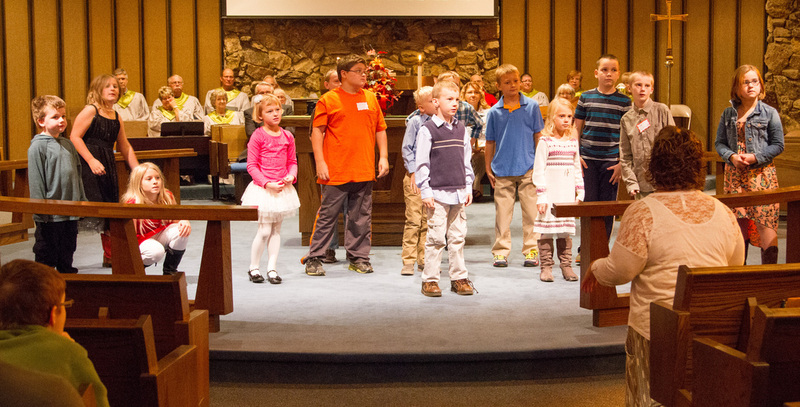 MELODY MAKERS is our children's choir for 3 year olds through 4th grade. They will provide special music throughout the school year. Rehearsals are held on Sunday mornings from 10:45 to 11:00 a.m.